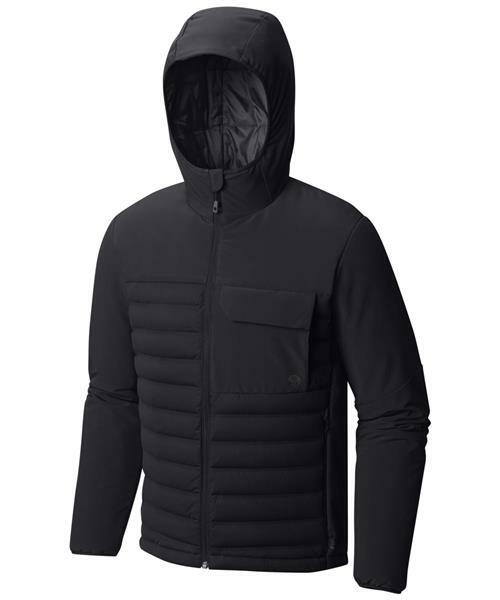 This tough, stylish, and comfortable this jacket has synthetic insulation where you want it and Q Shield™ Down where you need it. Built to be crucial in the mountain, the city or wherever you get up to serious fun. This hooded version keeps your head warm as a reward for making solid decisions.